Unlike Japanese martial arts the introduction of Chinese combat systems to western audiences had a rough, uneven and more often than not biased process which can be seen in many publications even today. The Japanese fighting systems were covered in western articles and books as early as the 1890s, in Japan the first Jiu Jitsu book published for the general public appeared in 1887 (Jūjutsu ken bō zukai hiketsu, Display of Jujutsu, Sword and Staff Secrets by Iguchi Matsunosuke). Similarly the oldest Judo text we located was published in 1905 in Japan titled Traditional Judo Illustrated, Tsūzoku jūdō zukai by Arima Sumitomo. It is also interesting to note articles attempting to describe the beginings and evolution of Jiu Jutsu already mention the Chinese influence of at least one of these schools as early as 1888. The article describes other potential Chinese contributions to the art to a physician named Akiyama who travel to China to study medicine where he also learnt a system of kicking and striking. The article questions the validity of the Chinese origins given that the Chinese system learn by Akiyama included striking. The authors failed to recognize that most if not all of the Chinese systems included the skills of striking (Da), kicking (Ti), wrestling (Shuai) and sizing (Na) as well as the use of weapons. The Japanese systems on the other hand started to lean towards specializing on one or two of the above skills. The English article was written with Jigoro Kano’s input, given that Kano was working on popularizing his art it can explain the need to present it as a made in Japan product. Dozens of articles and books covering not only the history and evolution of Jiu Jutsu, but also teaching the skills to the reader were published in the latter part of the 19th century onwards. Japanese instructors travelled overseas to spread the art as well as foreigners visited Japan to learn fighting skills. The concept of defeating strength/size by yielding, the stories describing Japanese men and women learning Jiu Jutsu for health and self defense purposes resonated in western audiences and contributed to its acceptance. In contrast Chinese martial arts were scarcely covered in the west’s printed media let alone arouse the interest to learn these skills outside China. We will review early attempts to describe them from those foreigners who witness them, only a handful of the sources we have been able to locate will be presented here. Terms that are nowadays commonly used to described Chinese martial arts such as “Kung Fu” appeared in 1779 in “The Cong-Fou of the Tao-Tse” by Pierre-Martial Cibot; even though this work covered health/breathing exercise rather than martial arts . Other westerners had less than pleasant experiences with other levels of Chinese society, piracy was a common theme to those looking to make a living trading with the Chinese. John Turner a Chief mate in the ship Tay was held captive by Chinese pirates to whom Tuner calls “Ladrones” (Spanish word for Thieves); in his 1809 memoirs Turner describes the type of vessels and weapons used by the pirates. The latter include guns, pikes with bamboo shafts up to 18 feet long, other similar weapons are shorter and use as throwing javelins, short swords up to 18 inches used for close quarter fighting. A similar experienced was shared by British officer Richard Glasspoole, however the sources we found did not include any mention of the pirates combat skills as detailed in an article published in 1996 by infamous David Bannon (Bannon, 1996). “The inhabitants remained within the intrenchments, and dared not come forward. The pirates then divided their force according to the various passes, and made an attack. The inhabitants prepared themselves to make a strong resistance near the entrance from the sea on the east side of the fence but the pirates stormed the fence, planted their flag on the shore, and then the whole squadron followed. The inhabitants fought bravely, and made a dreadful slaughter when the pirates crossed the entrance at Lin tow. Chang Paou was a famous pirate in Hong Kong, who was kidnapped by the pirates Cheng I and his wife Ching Shih when he was 15. He was adopted by the kidnappers as their son. Chang later took over the pirating business from his adoptive parents (Wikipedia). Training manuals/methods included in many cases cryptic oral formulas (kojoue) and secret methods (mifa) of the moves taught, a standard practice as early as the Jin Dynasty (265-420) and used to keep the application of these techniques secret from unwelcome eyes (Henning, Ge Hong Famous Daoist Thinker & Practical Martial Artist, 2007). Chinese plays also draw inspiration from existing practices as illustrated in a translated Chinese farce performed at the Tung Hing Theatre before H. R. H. the Duke of Edinburgh and published in 1868. One of the characters in the play is A-lan who is a gambler, after losing money his wife rough him up and sends him off to sale a pig and recoup the loss, however he meets First G to whom A-lan owns money and wants to collect his debt by taking the pig and threatens A-lan with a knife when A-lan is reluctant to lose his pig. A-lan asks to be taught some boxing tricks which have names that only make sense to the initiated. “A-lan. Oh no, no, no! I don’t want any money, I don’t indeed. But just put me up to a little boxing, do now. First G. Very well. Stand like this. A-lan. What do you call that posture? First G. Its name is ‘ Speedy promotion.’ Now try this. A-lan. What is that called? A-lan. Are there any more? Chinese novels also have mentions of martial arts practices, one of which was partially translated in 1878 by some Mr. Meyer titled Words of Yok Fei (Yue Fei) (1103 – 1142) a famous Southern Song Dynasty general to whom many styles of Chinese martial arts claim as their founder/creator e.g. Xingyi Quan, Ying Zhao Pai among others. The day after the same newspaper described in a very condescending way what took place during the match which based on the account it appeared for the most part it was not a full contact bout and more of a “point match”. It is unsurprising that the audience was less than impressed with the performance given than it took place in between regular western boxing matches considered more exiting. “The defensive tactics of the men were visible from the outset. Foo Jung was smaller than his adversary and had a deep olive skin, large and glittering brown eyes, a long nose and a curling under lip that betrayed his emotions. Ah Giang was taller, broader across the shoulders’ and longer armed and his face was square cut, paler and more on! the bull dog type. His eyes were wide apart and had a mild, pleading expression. As foreign presence and influence in China started to grow it incited challenge by members of Chinese society that felt threaten, reports of attacks on priests, missionaries and Chinese converts started to appeared in the late 1800s. The climax of such discontent came with the Boxer Rebellion (1899 – 1901). These events would mark the perceptions held on both local and international observers regarding Chinese martial arts. This is illustrated in a report published in 1899 (a sample of many that were common during this chaotic period of Chinese history). The actions of the Boxers would remain in the nation’s conscience years after such events took place and were used as arguments to discard martial practices as unscientific, backwards and unfit for a Nation in the process of modernizing itself by the supporters of the New Culture movement of the 1910s (Acevedo & Cheung, 2014). Some accounts has been given in your columns of a society known as the Boxers, who have been operating in the region near P’angchuang. The society has been steadily pushing its work in this direction, but it is known to us here by the name of the Big Knife Society. This is practically a crusade against the Christian Church at present. Formerly we heard of raids being made by them upon wealthy Chinese families, apparently only for plunder, but more recently these cases are very rare, and probably due to their mistaking them for Christians. There seems to be no distinction made between Protestant and R.C. all share a common fate at their hands. The society is composed of branches, made up of men from the occupations common to this part of the country, with a dominance of farmers. Some writers did a better job in trying to understand the origin of Chinese martial arts; in 1906 Giles published an article titled The Home of Jiu Jutsu, in it the author presented earlier sources that describe references to boxing and wrestling. Unfortunately Giles also paraphrased the division of Chinese martial arts into external/exoteric (Shaolin) and external/esoteric Chinese boxing schools. Despite some oversights Giles did pick up on the use of the characters for Jiu Jutsu and pointed out that these were originated in China. “The art of Kei Kik includes dexterity in wielding a sword, spear and knife [Dao] as well as skill in the use of fists and feet. This peculiarly Chinese form of what we may call Chinese boxing and fencing has a history dating back to the period of the “Warring Sates” some three centuries before the Christian Era. It was developed in the succeeding dynasties of Ts’un and Hon. A certain Ts’ai Man is commemorated in the history of the Hon Dynasty as being a famous exponent of the art and the men of the Ts’ai State are said to have greatly esteemed such skill. In the province of Ho Nam is an ancient temple called Shin Lam Tsz whose priests and acolytes in days gone by were continually engaged in exercises of this nature. Thirteen of them won fame as “boxers and fencers” when they helped the Emperor Tai Tsung of the Tang dynasty to subdue the rebellious Wong Shai-chung in the early part of the 7th Century and established a traditional school of the art known as the “Shin Lam L’ai”. It is clear that in those days a real military value was attached to skill in Kei Kik but later with the development of firearms the art became neglected as a practical field of martial endeavour. Transplanted to Japan however it doubtless became the historical parent of Judo or Jujutsu. But although the Chinese expert may have lost his military importance the practice of the art has persisted partly perhaps as a form of self-culture and partly pastime for boys and men. In very recent Republican days indeed there are not wanting signs that the practice has been deliberately recognized as tending to stimulate a militaristic spirit, but this is not the place to touch on certain modern aspects of Chinese social life. In spite of the titanic effort to promote the practice and understanding of Chinese martial arts trough competitions, demonstrations, publication of training manuals and journals by the Jinwu (Chin Woo), the Central Guoshu Academy and other smaller organizations; very little of this material was ever translated into English let alone arising the interest of westerners as it was the case with Japanese systems. The usual misconceptions regarding Chinese combat arts would still be prevalent in the late 1930s as illustrated in an article by J. Eigner and published in 1938 (Henning, Martial Arts in the Modern World, 2003). Western boxing is an expression of the active, restless, fighting and searching of life of the Occidental, whereas Chinese boxing just as exactly reflects the contemplative, passive knowing and restful soul of Asia…. None of the research of scholars like Tang Hao who disproved many of the above arguments, was distributed outside China; in all fairness the Chinese also had a degree of responsibility for such misconceptions. There were a few martial artist who were quiet competent and had a more cautious view of the history of their native martial arts and were not easily tempted to continue spreading unproven stories, unfortunately these people were/are not the majority. It will take decades before serious scholarship will start to appear in English putting together the pieces of the puzzle and uncovering hidden sources. The recent interest in martial studies worldwide has fostered a better understanding of the martial arts, this will continue to bring much needed perspective about the subject to the general public in the years to come. Acevedo, W., & Cheung, M. (2014). Republican Period Guoshu Periodicals. Classical Fighting Arts , 56-68. Bannon, D. (1996, Aug/Sep). Kung Fu on the High Seas. Wushu Qigong Kung Fu . Garcia, C. G., Gutierrez, M. P., Acevedo, W., & Cheung, M. (2010). Los luchadores japoneses tienen mas destreza y arte que los luchadores chinos, o cuando el contexto importa mas que el texto. Revista de Artes Marciales Asiaticas , 42-52. Gewu, K. (1995). The Spring and Autum of Chinese Martial Arts. Plum Publishing. Henning, S. (1999). 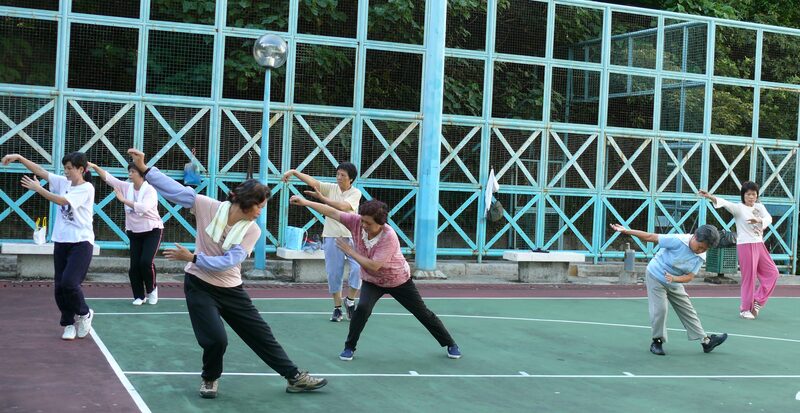 Academia Encounters the Chinese Martial Arts. China Review International , 6 (2), 319-332. Henning, S. (2007). Ge Hong Famous Daoist Thinker & Practical Martial Artist. Journal of Asian Martial Arts , 22-25. Henning, S. (2003). Martial Arts in the Modern World. Westport: Praeger Publishers.